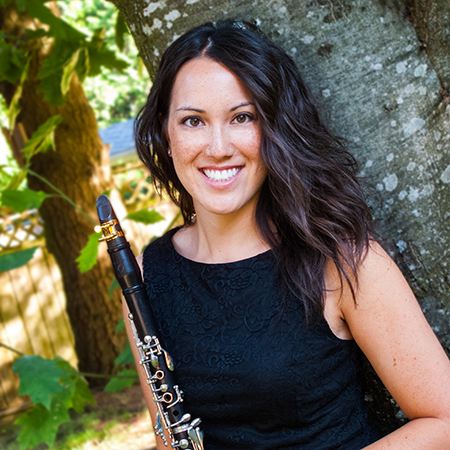 A born and raised Vancouverite, Michelle Goddard* attended the University of British Columbia where she earned her Bachelor’s degree in clarinet under Wes Foster and Cris Inguanti. She received her Master’s degree from Indiana University’s Jacobs School of Music where she studied with renowned clarinetist James Campbell and was the Associate Instructor of the clarinet studio. From 2009 to 2011 Michelle held the position of 2nd/Eb Clarinet with the Vancouver Symphony Orchestra before returning to Indiana to complete her studies. From 2012 to 2017 Michelle held the position of 2nd/Utility Clarinet with the Winnipeg Symphony Orchestra before returning home to rejoin the VSO in the Spring of 2017. Michelle has spent multiple summers studying music at the Banff Centre and was accepted into the Winter Residency program. Along with her career as a symphony musician, Michelle is a sought-after solo and chamber musician, and has performed with numerous touring Broadway musicals. Michelle is an active teacher and clinician throughout British Columbia and Manitoba.